Sometimes, though, there’d be something like this: “Even back in 1936 our government was worried about…”** Being the obsessive skeptic that I am, I wanted to see this U.S. Senate document 264, 1936 for myself. And I wanted to see the quotation in context. So I went to a digital record of government documents and tried to find that one. I can therefore report, with some authority, that the only thing worse than plowing through government documents in their hard copies is plowing through their virtual versions. My husband of course received frequent updates on my progress or lack thereof, and pointed out several times that the fact that this thing appeared as a senate document didn’t mean anything; any senator could enter anything into the record. How right he was. Eventually I found myself staring at a pdf of the actual Senate document, old-fashioned type-face and all, and do you know what it came from? A Cosmopolitan article. By a Rex Beach, who had become enamored of, and therefore reported about, the agricultural practices of Dr Charles Northern, who strove to raise the nutritional value of fruits and vegetables by adding “colloidal minerals” to the soil. 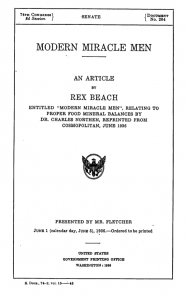 It was entered into the record by one Mr. Feltcher (Senator Duncan Fletcher, Democrat of Florida), but to read many a vitamin vendor, it was produced by the Senate itself as an official government study and report. My favorite is the site that actually reverses the sources, first correctly ascribing several quotations to the Cosmopolitan article, but then adding that “Most likely the above mentioned article was based on the following document: Senate Document No. 264, 1936.” This sort of thing makes me want to beat my head against the wall. Senate Document No. 264, 1936, has been debunked more than once: in 2007, Ed Zimney, MD, published “Senate Document #264 debunked,” and in “Dead Doctors Don’t Lie: The Jig May Be Up,” Donald Davis of U. Texas (retired) takes on Joel D. Wallach, who twists that document, and statistics, to promote his mineral supplement. 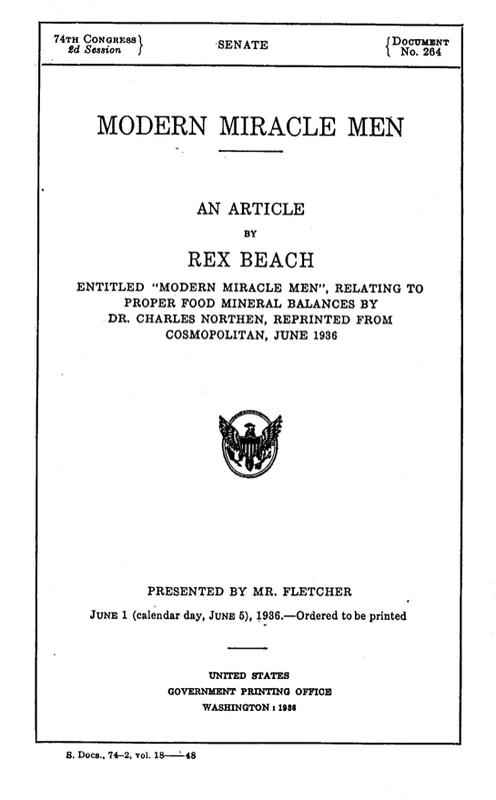 Now, all this says nothing about the value or veracity of the claims made in “Modern Miracle Men” itself (though they’re a bit on the wild side, and entirely anecdotal), but it does undermine the value and veracity of the many contemporary organizations and companies that quote it and append that U.S Senate Document citation, thus suggesting that the quotation is part of an official government study and report. As it turned out, all my earnest searching of Senate documents was unnecessary. To find out where Senate Document No. 264 comes from, all you have to do is google the sentence I quoted. So I wonder: does the Nutrition Security Institute not know about Beach’s article? Or don’t they care? * If you Google “sunscreen song” now, you’ll get the whole story, but ten years ago, you’d probably see the claim that it was a commencement address given by Kurt Vonnegut. Next you’d learn that Baz Luhrmann had produced the song, (“Everybody’s Free (To Wear Sunscreen)” (itself a play on Quindon Tarver’s “Everybody’s Free (to Feel Good)”) but back then you had to really dig to find that the original text came from a 1997 column by Mary Schmidt. She called it “Advice, like youth, probably just wasted on the young,” but what does she know; she just wrote it. Huh. So That’s what it’s all about. Life Transfusion Liquid Minerals. It figures. 7 Responses to Be kind to your knees. And don’t believe everything you read on the internet. It’s true that many of the things we read in the internet can be very erroneous and alot of people can get the wrong idea about something. I’m amazed at how much you really investigated this document! And now ‘facts’ are really spun out of control on Facebook. What I’m amazed at is that people just believe and pass on what they read…like facebook sheep. This is interesting because I ran into the same quotation. Being a scientist, I went looking for the scientific articles to back it up. I think that I originally found the idea (not really a quotation in my case) while looking at organic websites. But here is one link that leads to a popular press article discussing some of the pros and cons of the subject. 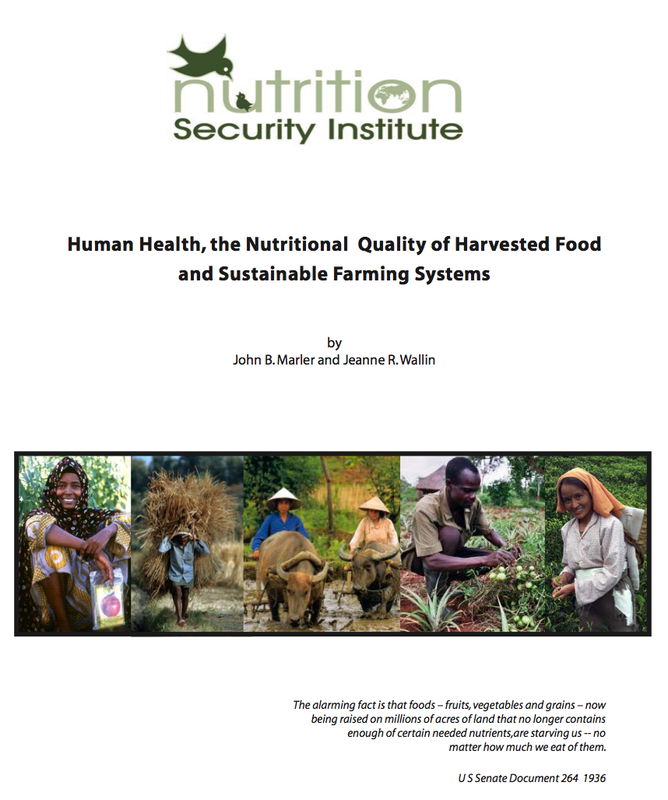 Essentially the idea is that with intensive farming, one depletes the soil of nutrients. 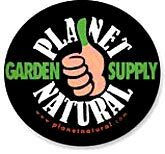 Once they are gone or diminished successive plantings result in veggies with less nutrients because if they are not available to the plants, then they cannot be incorporated into the plants. Some of the cons are kind of funny though, especially the one about spinach and iron. The link above should enable you to find some scientific articles that back this up. By the way, it didn’t take me long to find the link above or (previously) the scientific articles that I found, as well as the attribution to cosmopolitan and on what they based their information. Why bother with the senate? 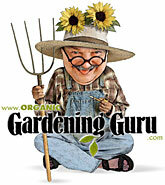 Most of those guys don’t have time to garden and often don’t bother to back up their claims. In a peer reviewed journal (not Time either), one has to do these things. The Time article references the 2009 HortScience Journal and gives the author. Hehe, hilarious to hear that this official senate ‘quote’ came from a women’s magazine! It is definitely true that we cannot trust everything we read on the internet. I have seen many instances of fake celebrity deaths in the past few years. It is sad to know that people create these lies. Dr. wallach is right and so is this document take a look at the documentry Back To Eden it even ends up talking about how food is today and the way it was years ago if you don’t still believe it i challenge you to see if you can find an excellent fruit reading using the brix refractometer.